If you have ever considered teaching Children, teaching Adults, teaching to foreign language speakers, teaching to immigrants or international students, working in Canadian schools or traveling across the world and teaching in Asia, South America or Europe, this job is for you. If you have ever wanted to experience international travel, learn about new cultures and if you like adventure while being paid for it, then this profession is for you. TESOL at Education Canada College provides a gateway to higher achievements, an entry to graduate school, a pathway for career change, and an eye opening experience learning through the eyes of your future students both in Canada or abroad. Thousands of satisfied students have graduated from Education Canada College’s courses and have started to teach English, French or Spanish around the world in many enjoyable teaching destinations. Our courses are suited for anyone who is interested in teaching opportunities in Canada or overseas. Education Canada College is the only center in Quebec that offers an approved program in TFSOL (To Teach French) & TSSOL ( To teach Spanish). TESOL (Teaching English Program) is offered in many registered schools across Canada. Education Canada College also offers courses in Teaching Arabic “TASOL”, Teaching Chinese “TCSOL”, Japanese “TJSOL” & Teaching Korean “TKSOL”, Italian “TISOL”, Portuguese “TPSOL” & Teaching Turkish to Speakers of other Languages “TTSOL”. In the field of teaching languages an accredited TESOL certificate is a gateway to success. Employers seek your qualifications and Education Canada College is there to provide the best of it’s kind in TESOL education in Quebec, across Canada and Overseas through Online studies. Highly educated and experienced instructors of Education Canada College focus on providing you with the practical classroom techniques and the necessary theoretical knowledge to become an effective language teacher in English or other selected language. Wide range of ESL teaching methodologies and pedagogical skills are covered throughout the program which will expose you to: interactive conversation teaching, practical grammar structure teaching, teaching online or in-class, principles of learning a second language, multiple methodologies and in particular Communicative Approach Method, classroom management skills, lesson planning, oral communication skills called “conversation activities”, listening and comprehension strategies, teaching multiple levels at variable ages, teaching in a multilingual or a unilingual setting, and effectively benefiting from ESL teaching materials and resources. Education Canada College’s TESOL program prepares you to be a fully qualified “Certified Second Language Teacher” both in Canada and abroad. TESOL materials at ECC are regularly monitored reflecting a precise day-to-day knowledge in this field. Students will receive a Teachers’ TESOL Theory Manual covering all updated methodologies and pedagogical skills, a Conversation Activity Manual that would cover over 100 conversation activities, a Grammar Lesson Plan Guide Line of more that 50 lesson plans for various levels and topics as well as Canada & Overseas Employment Directory in the field of Teaching Languages. Most of the TESOL material are available Online and links will be provided to download. If necessary, hard copies can be purchased and mailed. These material cover all necessary tools to start teaching, planning for lessons, providing conversation activities and even starting your job search in the field of teaching. Although overseas jobs are very appealing Education Canada College prepares teachers for positions both in Canada and abroad. Since the TESOL program at Education Canada College includes both Theory and Experience, ECC provides few language students to TESOL trainees to perform their experience part either online or in-class. Class size is only limited to 5 students. Most of our TESOL students have at least a Bachelor degree. However minimum entry requirement is the first year of college (CEGEP) level education. Once the basic requirements are met, all students need to pass an entry Language Proficiency Exam in their selected language. Admissions are based on interview selections and Language Proficiency Examination performance. A good command of English (and second language if applicable) is a must. ECC prefers candidates with at least a Bachelors degree but will accept candidates with CEGEP diplomas or equivalent who demonstrate high qualities needed in teaching career through their interview. At every given session, there are few students who can qualify to receive the TESOL scholarship toward their education at Education Canada College. Scholarship selections are through their entry exam evaluations and their scholarship application requirements to TESOL Canada. Faculty directors of ECC have over 20 years of international experience in teaching ESL, pedagogies, TESOL training, and specialized TESOL skills. Academic directors are all with PhD’s and Master Degrees in related subjects from recognized European and North American Universities. Our training includes various weekly conversation activities and lesson plans presentations to prepare students for the actual teaching practicum. Students are mentored to learn how to teach, and are aided to start their initial teaching steps. Once instructed properly, students will have to provide their Conversation Activities and Lesson Plan assignments to their instructors for further evaluations and use the designed Lesson Plans in an actual classroom or online setting. Prior to graduation, Assisting a Teacher for 20 hours, Teaching a full level of a Conversation class (40 hours) and a full level of a Grammar Class (80 hours) have to be completed. Practicums can entirely be completed Online. Students with former teaching experience may qualify for Practicum Credits. Highly trained and experienced professional teachers are readily available to offer support and guidance. A clearly defined organized course that includes all necessary materials to complete the program. 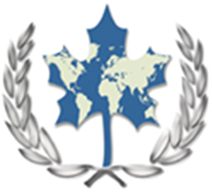 International accreditation by the Canadian Language Teachers Association CLTA, European Union TESOL Association EUTA, TESOL Canada, TESOL USA, TESOL Asia and Ministry of Emploi Québec. Feedback sessions on all elements of the course. Benefits of a well-established course since summer 1998 that has trained hundreds of teachers. Many of our former graduates now work in Montreal, Vancouver and Toronto with majority in overseas. Small second language class sizes that allow you to learn how to teach with the minimum stress, thus maximizing your learning and classroom performance. Teaching Language Skills: speaking, listening, reading, writing, grammar and vocabulary. Teaching methodologies: A review of past methodologies which lead to understanding of the most recognized methodology today; Communicative Language Teaching (CLT). IELTS, TOEFL & TOEIC: The opportunity to learn about these important tests & how to teach them. Job-Hunting: Practical information on how to find teaching employments almost in all countries. Conversational Teaching is the starting point that allows the trainee teacher to develop an awareness of the cultural and linguistic differences between our language students. Assist an experienced teacher in order to prepare for your teaching practicum. This is a chance to put into practice everything that has been learnt in the course. Course coordinators provide relevant Support and Feedbacks. All teaching materials are provided. This allows the trainee teacher to observe different teaching styles and pick up valuable information on how to teach a second language. Observation may be completed through online videos. This section demonstrates how to design and use conversational teaching activities. This sector demonstrates how to plan complete lessons and create your own teaching resources. This allows the trainee teacher to develop a greater understanding of second language teaching issues, both practical and theoretical. Research Paper also allows ECC to evaluate cognitive understanding of socio-linguistic and cultural understanding and implications of TESOL in society through eyes of its students. TESOL is the most widely recognized qualification in North America. CELTA is more common in Europe. Minimum time to complete this course is 8 weeks but most trainees take 12-24 weeks. We can create a flexible schedule to meet both the students and school’s needs. This course prepares you to teach any language, the teaching skills and theory are the same. To achieve “Second Language Certification” you must take a language proficiency test in the selected second language. French, Spanish, Arabic, Japanese, Italian, Portuguese, Chinese and Korean are also offered as second language teaching programs at the reduced cost of $999 per language.